Will frayed relationships on HELP Committee be lasting consequence of contentious DeVos nom? It’s not yet clear what political fallout may occur in the wake of the partisan hurricane that ripped through Betsy DeVos’s nomination as education secretary, but at least one possible casualty is already becoming apparent: the Senate education committee’s prized tradition of bipartisanship and mutual respect. 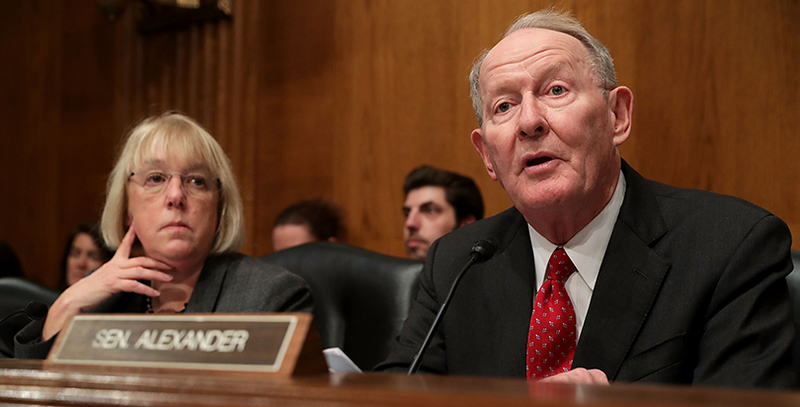 After an early-morning procedural vote Friday, Sen. Lamar Alexander, who chairs the Senate Health, Education, Labor and Pensions Committee, and Sen. Patty Murray, its ranking Democrat, kicked off debate with warring visions of the nominee. To Alexander, she’s well within the mainstream of education advocates and has the backing of governors who believe she’ll return control to states. Murray, meanwhile, pledged she wouldn’t stop “fighting” to block DeVos, who presents a “direct attack” on public education. It looks as if DeVos will squeak through a final confirmation vote early next week but only by virtue of Vice President Mike Pence breaking an expected 50–50 tie. DeVos, a billionaire Michigan philanthropist, GOP megadonor and decades-long school choice advocate, may be the first cabinet nominee ever to require a save from the vice president. It’s been an uphill climb even to that precarious perch: DeVos’s nomination has attracted immense attention from advocates and the general public, with her hearing stumble on grizzly bears and guns in schools becoming fodder for late-night TV comedians. Advocates have held rallies across the country. Thousands of constituents swamped the Senate phone system, with 1.5 million calls a day, by some accounts a new record and enough to slow down the entire chamber’s voicemail system, the Senate sergeant at arms warned Thursday. Alexander linked the furor over DeVos becoming education secretary to the broader political climate in the country following Donald Trump’s victory and his rapid-fire series of controversial actions since taking office. “This recent election and what has happened since then, frankly, has got people on edge, and it’s carried over to the committee,” he said at the end of a contentious hearing Tuesday. DeVos’s nomination has elicited a level of scrutiny and criticism unseen before, former senator Tom Harkin, who served on the HELP Committee for three decades, including six years as chairman, told The 74. “When I was serving, we never had a nominee like this come before the committee, not on education, not on health and not in labor. This is sort of a unique situation,” he said. Harkin and Sen. Tim Kaine wrote an op-ed opposing DeVos’s nomination. DeVos supporters have argued that the influence and organizing muscle of the nation’s two biggest teachers unions, who see DeVos as a threat because of her advocacy for charter schools and school vouchers, were behind the ferocity. NPR, in a piece titled “How Betsy DeVos Became Trump’s Least Popular Cabinet Pick,” suggested that her being a woman may have played a part in the antipathy, particularly because other contentious Trump nominees, such as Dr. Ben Carson and Rick Perry, received far less heat. DeVos’s nomination landed before the HELP committee, which over the years has passed landmark bipartisan legislation, from No Child Left Behind to the Americans with Disabilities Act, despite having members as politically disparate as liberal lion Ted Kennedy and Southern conservative Strom Thurmond or, currently, fiery progressive Elizabeth Warren and Kentucky libertarian Rand Paul. But the dissension over DeVos began almost immediately, with HELP committee Democrats arguing that they didn’t have enough time to question her, nor did they have sufficient information to evaluate her complex financial holdings. Republicans, meanwhile, said they were treating her the same way the committee had treated Obama’s education secretaries. On Tuesday, the pitched political discourse noticeably cracked the 23-member committee’s usual collegiality. “This is a committee of considerable differences of opinion. But it’s also a committee that has on big occasions been able to resolve those differences of opinion, usually in a cordial way. 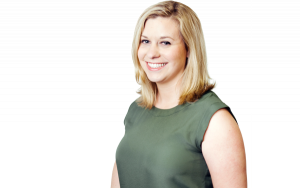 I’m sorry to say we’re not able to do that this time,” Alexander said at the start of the hearing, which was later sidetracked by a fight about proxy votes and committee rules. Murray said Alexander is justifiably proud of his bipartisan accomplishments, but his moving forward with the vote despite her continued questions offended precedent in a way that wouldn’t soon be forgotten. “I consider this to be a massive break with that strong bipartisan record, and it will dramatically impact our ability to work together in good faith going forward,” she said. An overdue rewrite of the Higher Education Act, which will expose partisan differences on college costs and for-profit colleges, is the next big-ticket education item on the committee’s agenda. Members also will continue to focus on implementation of the Every Student Succeeds Act in the wake of GOP efforts to overturn the Obama administration accountability regulations. And it’s also not the end of partisan disputes over Trump nominees — the committee has yet to even have a hearing for Andrew Puzder, the fast food CEO nominated to be labor secretary whose overtly sexual commercials and perceived opposition to workers’ rights have brought criticism. But nothing on the upcoming agenda is expected to rival DeVos, and Harkin believes that will create space to heal the political divisions. He praised Alexander as a “smart guy” who was “always reasonable” and who could find compromise with Murray, who has her own long record of bipartisan deals. The two leaders worked together last year to pass what became the Every Student Succeeds Act, whose end result President Obama called a Christmas miracle. That involved compromise from the beginning: Alexander, as chairman, intended to offer his own bill for the committee’s consideration, but Murray convinced him that they should start with a bipartisan effort. Harkin urged Alexander and Murray to keep open lines of communication and, acknowledging there would be differences, move forward where they can reach agreement.